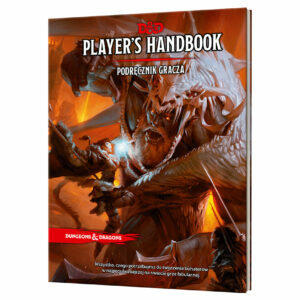 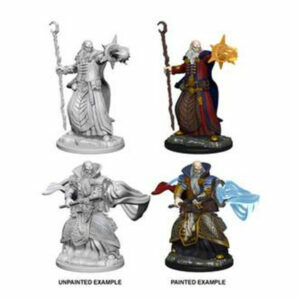 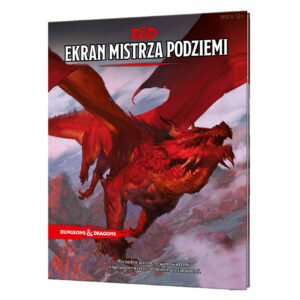 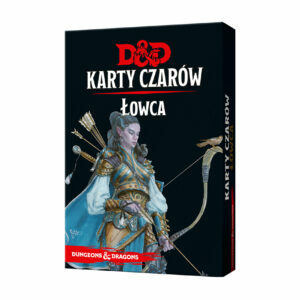 Kompletny, pomalowany okręt w skali figurek do Dungeons & Dragon o długości 84cm! 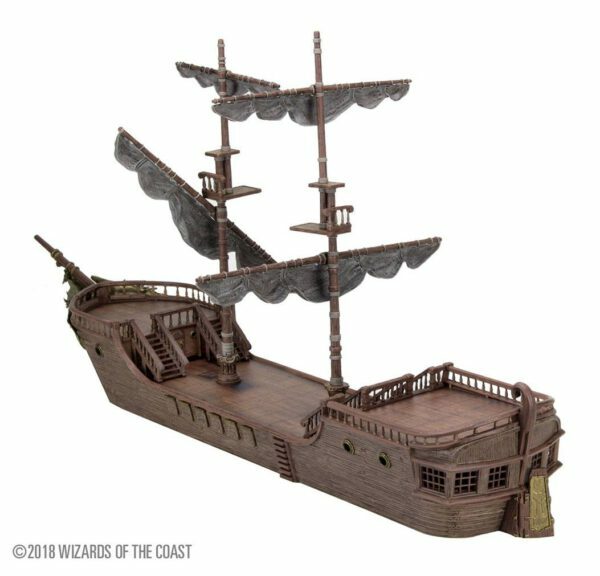 This fantastic fully-painted miniature of colossal stature and tremendous detail stands a whopping 44 cm tall, 84 cm long, and 16 cm wide (32 cm wide at the masts!) 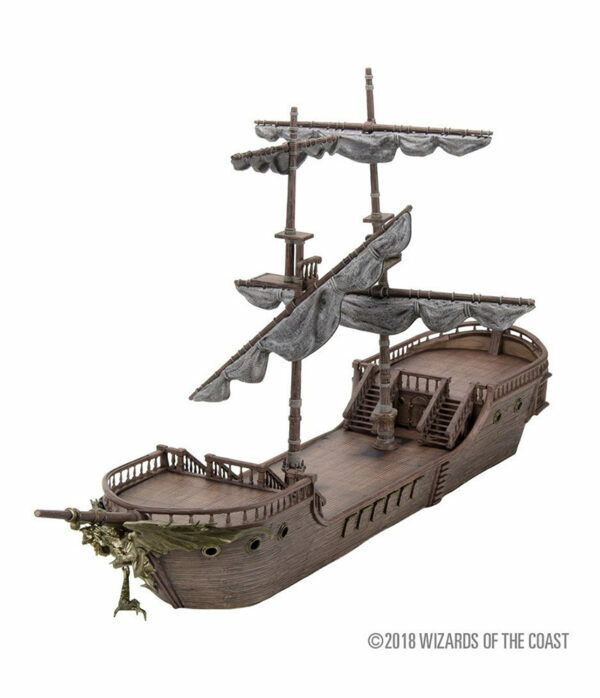 and has a myriad of features! Additionally, the deck tiles are reversible, with or without grid lines, to allow for whichever way you play or wish to display this premium show piece. 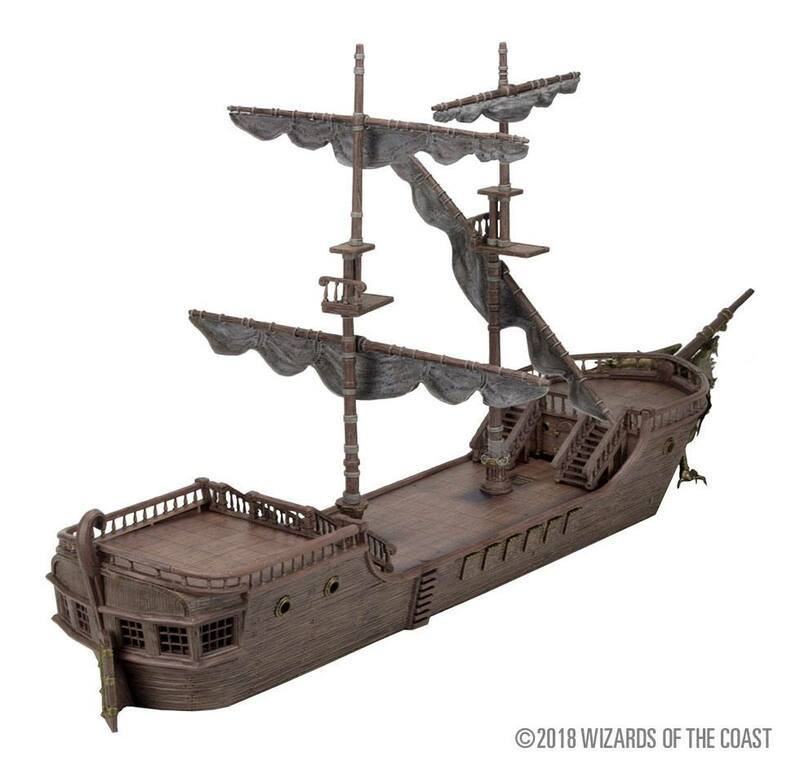 This feature rich ships includes multiple stackable deck tiles allowing players to fight on the deck or in the dark underbelly of the ship, magnetized removable masts, removable stair cases, and even functional hatches on the sides of the ships for you to fire upon your enemies! 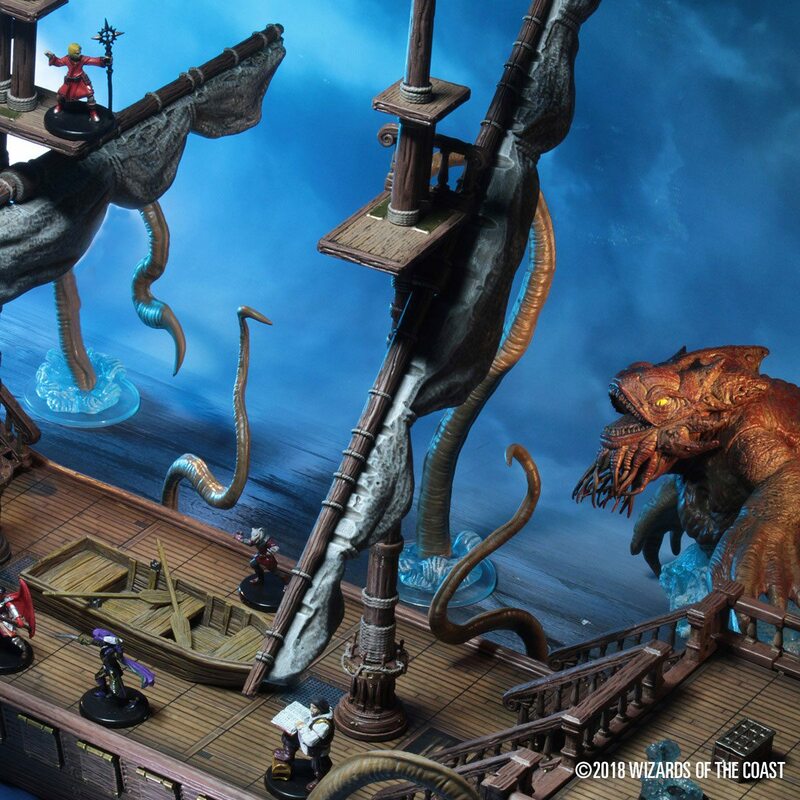 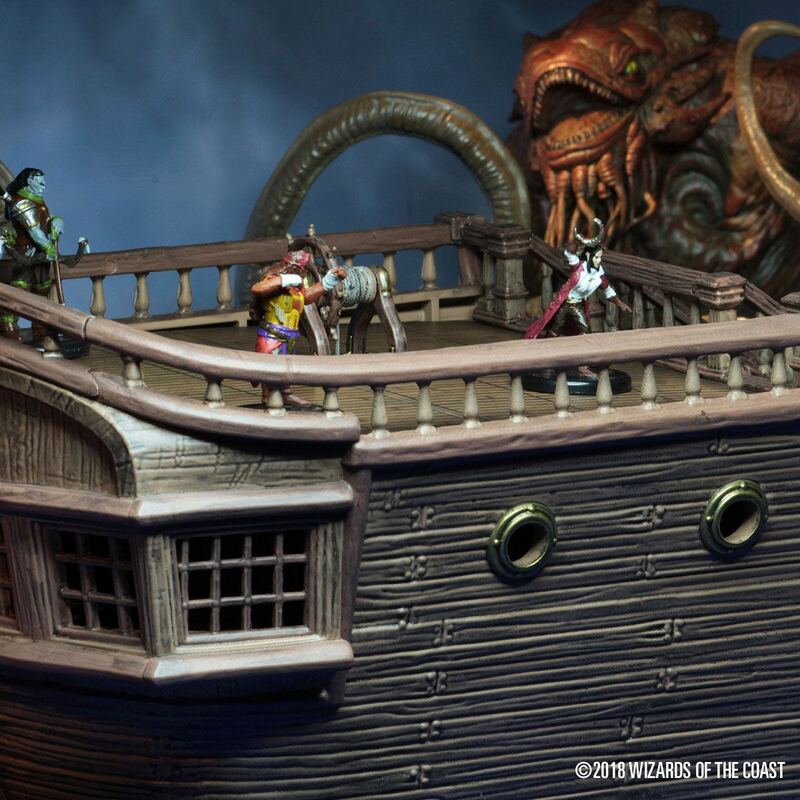 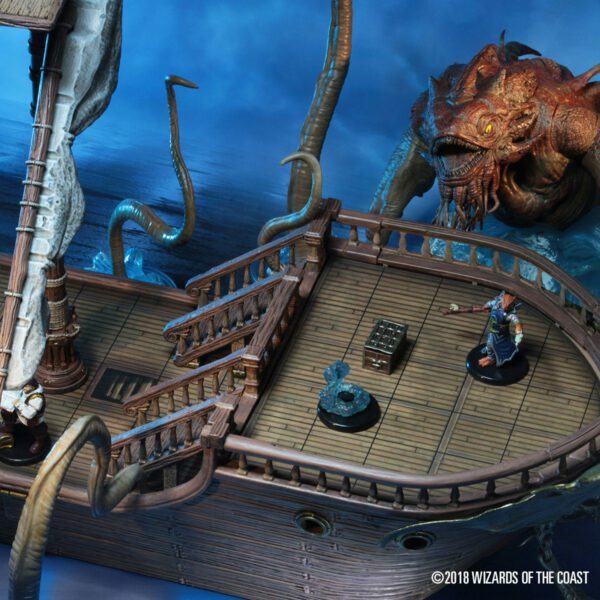 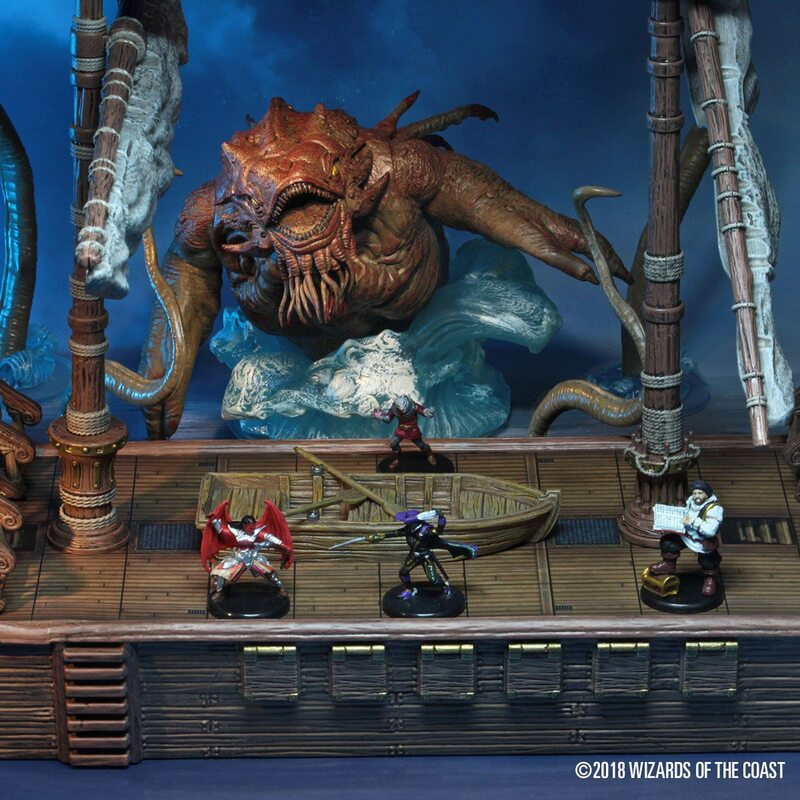 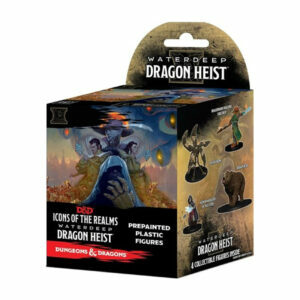 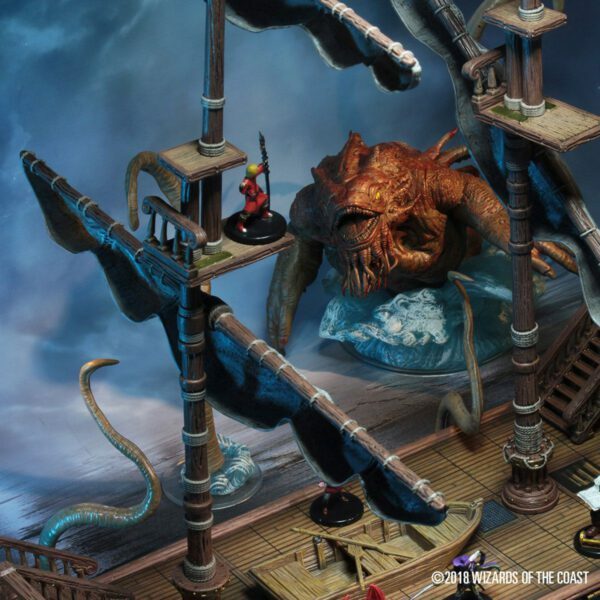 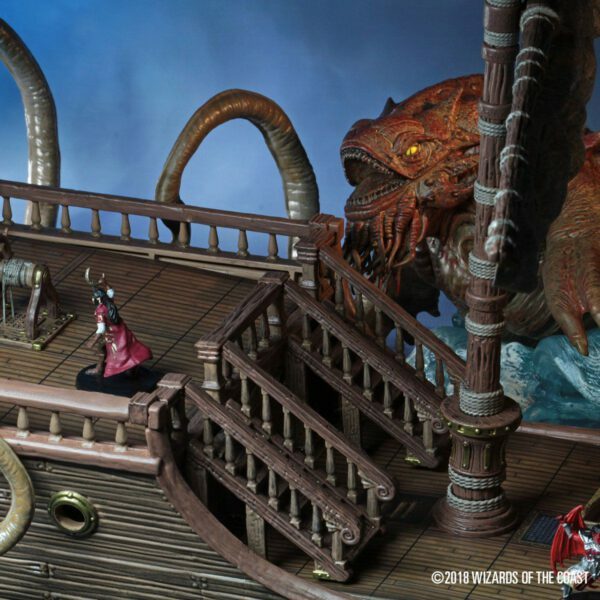 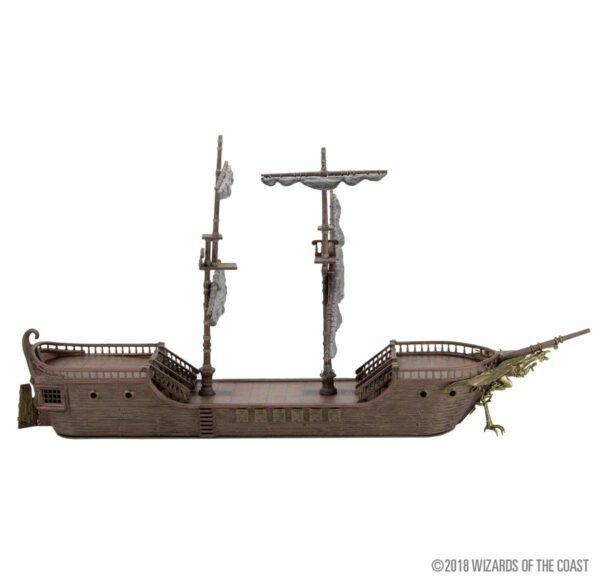 Perfect for aquatic adventures, one shot side quests, or even taking on the godlike kraken, the D&D Icons of the Realms: The Falling Star Sailing Ship is sure to bring marvelous excitement to your tabletop!